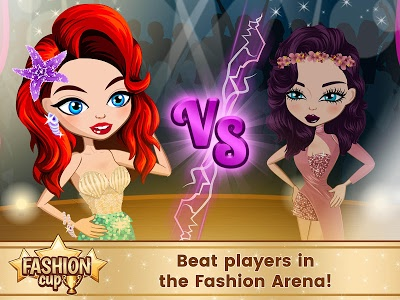 This is a dress up game and a make up game in the world of fame where winning cups will take your fame class higher! Reach the A-Class to be a diva! Lead a superstar life and write your own Hollywood story! 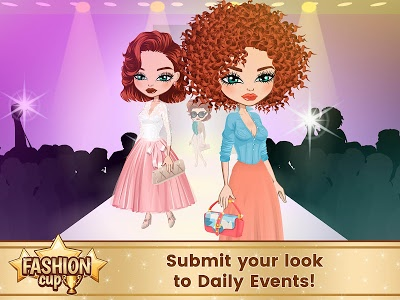 Get ready for a fabulous one-to-one fashion challenge at the Fashion Arena! Who's better, you or her? Your closet, career and experience will draw your opponent away! The best styles are in the surprise chests! Follow seasonal chests for one-time only stuff fit for a star girl! All by popular fashion designers! Who looks better in this stardom and dressup game? Ladies prefer popular celebrity styles. They compete for high rating and they need your vote! The Shopping Street is bustling! It's a makeup game with accessories and hair for ultimate glamour. Tons of fashion design boutiques have makeover options for every lady popular or even sorority life on campus. Similar to "Fashion Cup - Dress up & Duel"